Noah was one of the many prophets that God sent to the people to guide them to the right way. Like all the prophets he asked his people to "Worship God Alone". Most of the people did not like Noah or anybody to tell them what to do. They do not want to change and do not want to worship God alone. They found their parents worshipping other gods and they want to keep doing the same thing. Noah went to his people many times and asked them to "Worship God alone" . He told them that God promised them great rewards and happiness if they follow his advise. He also told them if they do not accept God as their only god, they will be losers and God will punish them. They laughed at Noah, called him crazy and refused to follow him. God ordered Noah to warn the people that if they do not believe they will be drowned by a big rainy storm and flooding. They laughed again and refused to believe Noah. God then ordered Noah to start building an ark, a boat , big enough to carry him , the people who believed and a pair of each of the animals they have. Noah used logs from the trees around him to build his boat , Noah's ark, and told all the believers to join him on the ark, and bring their animals with them because God will be causing flooding and heavy rainy storms to drown everything else around them. Every time the disbelieving people pass by Noah building his ark ,they ridicule him and laugh at him. He believed God and finished the ark and all the believers with their animals joined him. After that God caused the sky to rain and the rivers and sea to flood filling the land around Noah's people with water everywhere and the disbelievers drowned. Only those who believed in God and followed Noah were saved. Later God caused all the water to drain back into the rivers and sea, and the land to dry so the ark rested on the land again and Noah and his followers who believed in God alone were back on the land happy and thankful to God for His guidance, and support. The story of Noah and his people are repeated several times in the Quran. 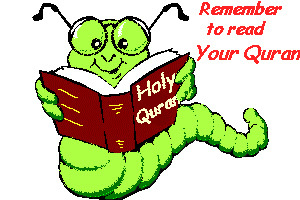 We will see that God repeats certain stories in the Quran to remind us and to get our attention to it. Several suras in the Quran have part or all of the story of Noah. Let us read them in the Quran and learn from them. Try to read different sura every time you read this story of Noah. All the locations of the story of Noah in the Quran is listed later. [11:25] We sent Noah to his people, saying, "I come to you as a clear warner. [11:26] "You shall not worship except GOD. I fear for you the retribution of a painful day." [11:27] The leaders who disbelieved among his people said, "We see that you are no more than a human being like us, and we see that the first people to follow you are the worst among us. We see that you do not possess any advantage over us. Indeed, we think you are liars." [11:28] He said, "O my people, what if I have a solid proof from my Lord? What if He has blessed me out of His mercy, though you cannot see it? Are we going to force you to believe therein? [11:29] "O my people, I do not ask you for any money; my wage comes only from GOD. I am not dismissing those who believed; they will meet their Lord (and He alone will judge them). I see that you are ignorant people. [11:30] "O my people, who can support me against GOD, if I dismiss them? Would you not take heed? [11:31] "I do not claim that I possess the treasures of GOD, nor do I know the future, nor do I claim to be an angel. Nor do I say to those despised by your eyes that GOD will not bestow any blessings upon them. GOD knows best what is in their innermost thoughts. (If I did this,) I would be a transgressor." [11:32] They said, "O Noah, you have argued with us, and kept on arguing. We challenge you to bring the doom you threaten us with, if you are truthful." [11:33] He said, "GOD is the One who brings it to you, if He so wills, then you cannot escape. [11:34] "Even if I advised you, my advice cannot benefit you if it is GOD's will to send you astray. He is your Lord, and to Him you will be returned." [11:35] If they say, "He made up this story," then say, "If I made it up, then I am responsible for my crime, and I am innocent of any crime you commit." [11:36] Noah was inspired: "No more of your people are going to believe, beyond those who already believe. Do not be saddened by their actions. [11:37] "Build the ark under our watchful eyes, and with our inspiration, and do not implore Me on behalf of those who have transgressed; they are destined to drown." [11:38] While he was building the ark, whenever some of his people passed by him they laughed at him. He said, "You may be laughing at us, but we are laughing at you, just as you are laughing. [11:39] "You will surely find out who will suffer a shameful retribution, and incur an everlasting punishment." [11:40] When our judgment came, and the atmosphere boiled over, we said, "Carry on it a pair of each kind,* together with your family, except those who are condemned. Carry with you those who have believed," and only a few have believed with him. [11:41] He said, "Come on board. In the name of GOD shall be its sailing, and its mooring. My Lord is Forgiver, Most Merciful." [11:43] He said, "I will take refuge on top of a hill, to protect me from the water." He said, "Nothing can protect anyone today from GOD's judgment; only those worthy of His mercy (will be saved)." The waves separated them, and he was among those who drowned. [11:44] It was proclaimed: "O earth, swallow your water," and "O sky, cease." The water then subsided; the judgment was fulfilled. The ark finally rested on the hills of Judea. It was then proclaimed: "The transgressors have perished." warner = the person who gives notice or calls for attention for a danger. retribution= receiving of punishment or reward. dismiss= to permit to leave. despise= to look down on someone. bestow= to give as a gift. inspiration= an action from God on a person who is chosen to receive a certain teaching. perish= to become destroyed or ruined. mooring= staying still in place. refuge= shelter or protection from danger. WORSHIP, GOD, ALONE, NOAH, ARK, SUBMIT, BELIEVE, ONE, MOORING, SAIL, SURA.